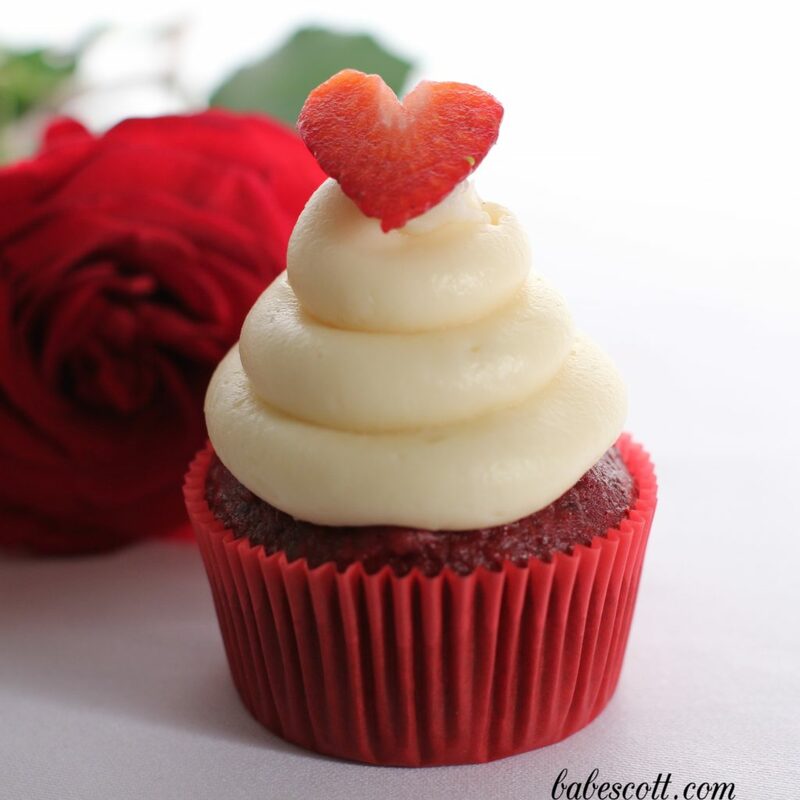 The Most Irresistible Red Velvet Cupcake Recipe Ever! This risqué red velvet cupcake from Man Candy and Cupcakes is an aphrodisiac in a wrapper. There’s nothing that spells seduction more than this flavorsome fire engine red cake. It’s sinfully delicious. 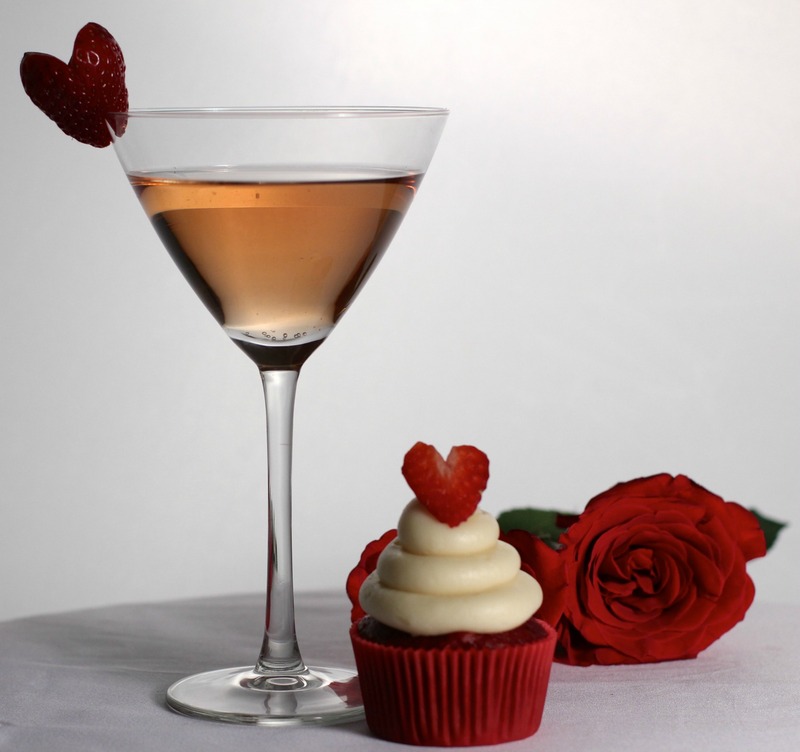 I’ve paired it with a red velvet martini so you can make a double-pronged assault on your sweetie’s taste buds. Trust me, his senses will be reeling. Better still, this captivating cupcake is as easy to make as it is alluring. 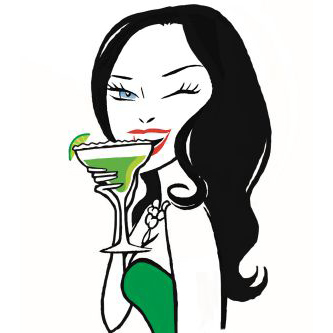 You are guaranteed a high return on romantic investment. Bake at your own risk! * Make the red sugar by pouring some sugar into a bowl and mixing with a few drops of red food coloring. Let dry and then store in an air-tight container. Preheat oven to 350°F (180°C) and line 12 muffin cups with paper liners. In a large bowl sift together flour, cocoa powder and salt. Set aside. In another bowl, beat sugar and vegetable oil together with a electric mixer. Add eggs one at a time, mixing well after each addition. Add vanilla extract and red food coloring and mix well. Add the dry ingredients to the sugar mixture, alternating with the buttermilk. Mix well after each addition. In a small bowl add the vinegar to the baking soda. Stir well, there should be a small bubbling reaction. Add this into the batter and mix well. Evenly fill muffin cups 2/3 of the way full with batter and bake for 20 minutes or until a tester inserted into the center comes out clean. Let cool completely before frosting. In a large bowl, with an electric mixer cream together the cream cheese and butter until light and fluffy. Slowly add the confectioners sugar until all in incorporated. Add the strawberry liquor and mix well. If you like you can serve this with our Man Candy and Cupcakes topper. Simply click to get the template.